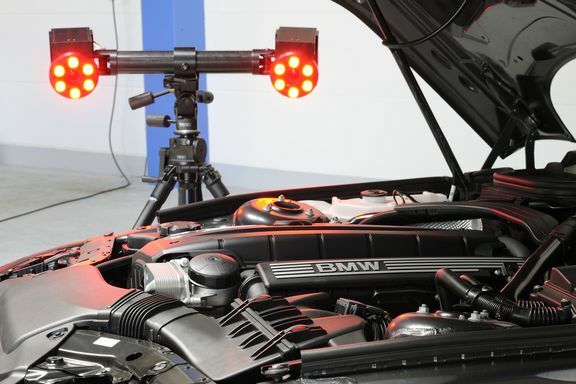 The PONTOS Live is a measurement tracking system for the application of accurate alignment of parts. This may be on CNC machines or the alteration of fixtures for mounted parts. The system works with the GOM Touch Probe to inspect areas of parts that are difficult to capture optically, as the probe can directly reach all surfaces. The sensor is capable of analysing a wide range of component sizes, ranging from a few millimetres up to several meters. PONTOS replaces conventional displacement measurement systems and accelerometers, therefore displacements and deformation are captured rapidly in a non-contact manner. All results are available to be exported as an ASCII data set file, making the data versatile with a range of different software. The visualisation of the recorded camera images combined with diagrams ensures the captured data is easy to analyse.